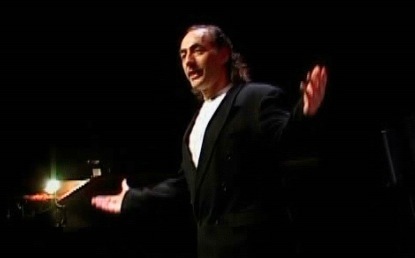 Rick Friend is a British playwright, filmmaker, director, singer, songwriter and actor. He is based in London. Friend’s first play Stuck, produced by his production company Production Friend starred Olivier award-winning actress and comedienne Sara Crowe. A social satire of 80’s ‘bright young things’, it was staged at the Latchmere Theatre, Battersea, in 1988 and received Time Out critics’ choice for Best Plays in London. a zappy debut which marks Friend as a writer of some punch..."
His stage show – Victory?, a musical dealing with the Arab-Israeli conflict (wrote, directed and composed music for), was staged as a workshop charity performance at the Donmar Warehouse Theatre in January 2004. The cast were Raza Jaffrey leading man of Bombay Dreams and BBC’s Spooks, Bertie Carvel leading man of the Donmar’s Parade and Juliette Caton female lead of the Cameron Mackintosh musical Martin Guerre and a young lead in Martin Scorsese’s Last Temptation of Christ. 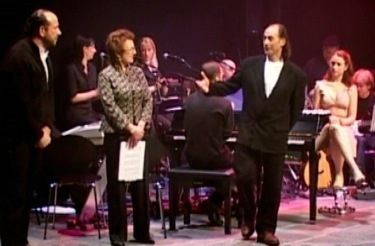 The Musical Director was Andy Smith of We Will Rock You and The Lion King. Victory? was again produced by Production Friend, with producer Daniella Gonella of DG Productions. Friend’s musical Atlantis was work-shopped at London’s National Theatre for director Bill Bryden, with leading actors Peter Straker (who collaborated with The Alan Parsons Project and on Freddie Mercury’s recording Barcelona) and Carol Nielsson star of Andrew Lloyd Webber’s musical Song and Dance, in the leads (MD and musical arrangements by Anthony Bowles – arranger of the original Lloyd Webber musical Evita - produced by Jon Thoday of Avalon, producer of Baddiel and Skinner Unplanned and Jerry Springer the Opera). As a singer Friend has performed all around the world in venues as diverse as Stringfellows, the Barbican Centre and the Royal Academy of Music, as a solo artist and with various bands. Along with acts Soft Cell and Visage, Friend was picked up as a songwriter by the Metropolis record label and was contracted for three years with Warner Brothers Music. In the 90’s he continued with his solo career and also collaborated on several songs with Denise Marsa the mystery lady who sang with Dean Friedman on the # 3 UK Hit, Lucky Stars, a duet which resulted in a gold disc and appearances on BBC’s Top of the Pops. In the 80’s, Friend made demonstration recordings under the patronage of Felix Dennis (British magazine publisher and philanthropist), which led to him being signed as a recording artist by Trident Records in Soho, London. Rick Friend has played in leading roles at Birmingham Repertory Theatre, Sadler’s Wells Theatre and Clwyd Theatr Cymru and appeared on television in BBC’s Keeping Up Appearances and ITV’s The Bill. Click here for Rick Friend on the Internet Movie Data Base (IMDb). 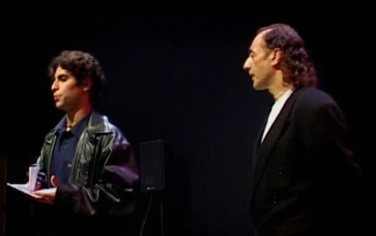 He appeared as Syd Barrett in Shine On You Crazy Diamond, in Pink Floyd’s P*U*L*S*E DVD taken from the October 1994 concert at Earl’s Court Exhibition Centre, London, in a tribute to their co-founder. The DVD edition was released in 2006 and quickly topped the charts. 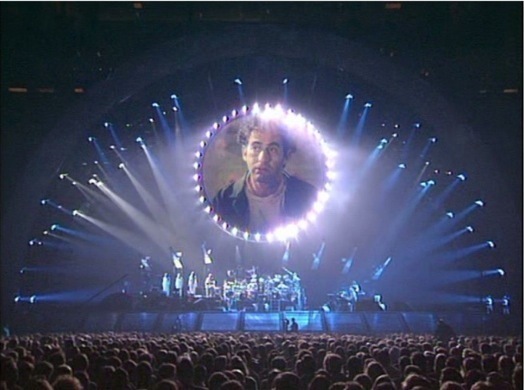 Pink Floyd’s 1994 concert at Earl’s Court Exhibition Centre,London. In 2007 Friend adapted his play Stuck into a film. This is now in pre-production. Thomson has been interviewed at length by Jeremy Paxman on Newsnight and was the whistle-blower on the Tate's improper payment of £700,000 to Chris Ofili, one of the Tate's trustees, which led to the gallery being censured by the Charity Commission in July 2006. 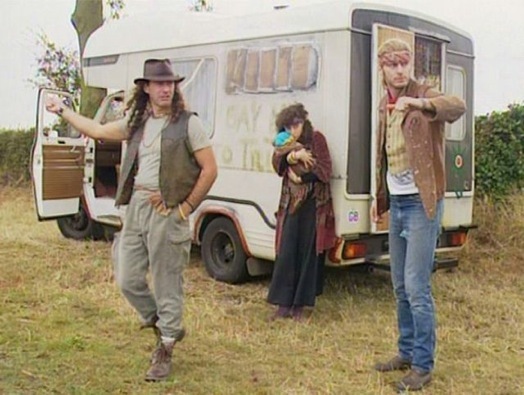 Thomson is acting as a consultant on Stuck! Stuck! Stuck! Through projects like Victory?, Friend has been active in promoting peace and reconciliation. His Donmar Warehouse show benefited two charities which foster relationships and reconciliation between Arabs and Jews - Seeds of Peace and Neve Shalom. As a film critic Friend reviewed over 800 films for twenty national radio stations. Jon Thoday of Avalon Productions took the name Avalon from one of the songs in Rick Friend’s musical Atlantis. 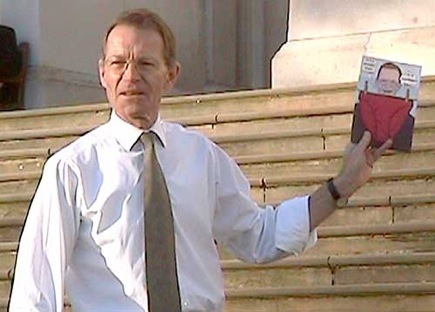 An image showing Sir Nicholas Serota, outside Tate Britain in December 2006, holding a postcard of Charles Thomson's painting of him, Sir Nicholas Serota Makes An Acquisitions Decision, taken by Friend during a Stuckist demonstration against the Turner Prize on December 4, 2006, was published in The Independent newspaper the following day. Image of Sir Nicholas Serota by Rick Friend - a still from a movie taken by him.